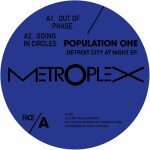 With three much-awaited Model 500 reissues, Metroplex’s year 2016 would not have been wasted anyway, but the futurist label from Detroit decided to live not only in the past and has expanded the catalogue by three new releases. Beside of Utensil, Metroplex was the place where Terrence Dixon cut his teeth in the nineties, using solely the Population One moniker for his rare appearances on the label. The tradition is kept on in the EP “Detroit City At Night” where the main award goes to the title track at B2 for its action-packed, after-dark snapshot with police alarms, dog barking and a narrative full of demise. My other favourite is the house-inclined “Going In Circles” at A2, built on a cheerful groove and xylophonic glitter. Two other tracks stand for Dixon’s blueprint monotone sound, “Out Of Phase” being a repetitive and dissonant piece aided by jazzy breeze and “Down The Lodge” is pumping leaden fuel to abstract thoughts. Points: 8 of 10. 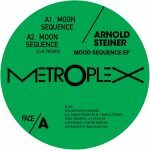 Dark tones are ruling in the full-fledged electro EP “Mood Sequence” by Arnold Steiner, the founder of Transient Force who is better known under the As1 moniker. A strong kick-off happens with the old school vocoder tale “In The End”, creating an atmosphere of despair similar to I-F’s “The Men Who Won’t Come Back”. 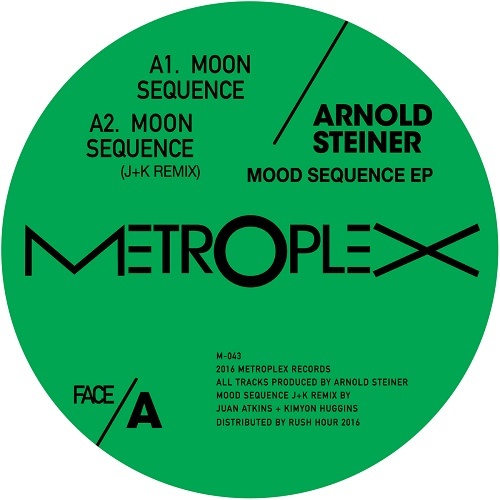 “Inertia Collision” is another ode to machines and the title track “Mood Sequence” keeps faster pace, on the flip being remixed by Juan Atkins and Kimyon. Points: 8 of 10. 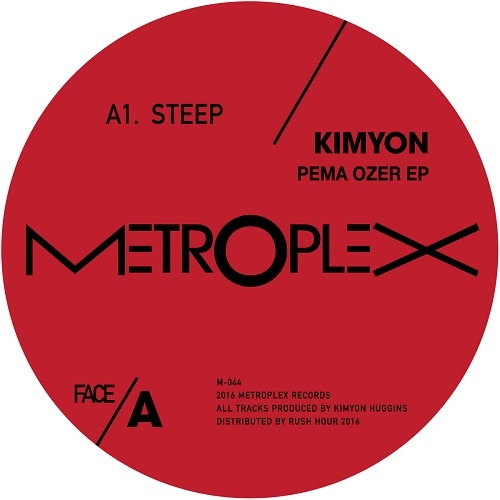 Kimyon‘s own second Metroplex release “Pema Ozer EP” features two tracks with about twelve minutes of playtime, thus rather qualifying for a single than EP. In the original pumping version of “Steep”, techno and house share the same bloodstream with dubby elements that recall Berlin’s DIN imprint and not much change comes with the B-side’s “Wknd Drum Remix”. Points: 6 of 10.